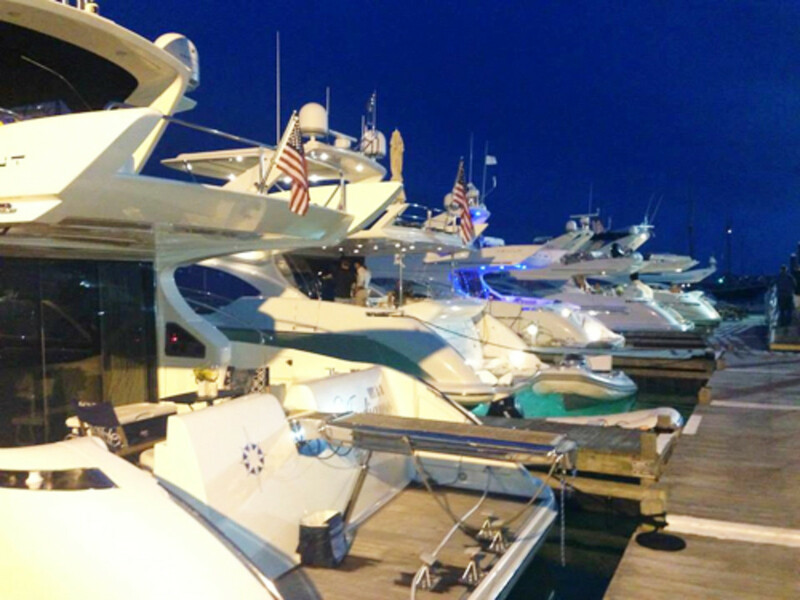 MarineMax partnered with Azimut Yachts to host the 2013 Newport Azimut Gala at the Newport Harbor Hotel in Rhode Island. The event brought together more than 150 MarineMax and Azimut owners who took part in cocktail parties, celebrity chef cooking lessons, a lobster bake, a dinghy power run and a gala. MarineMax and Azimut also have partnered to develop the U.S. version of Azimut’s popular 84 Flybridge model. MarineMax said the new version features a redesigned flybridge, main deck and lower deck to provide maximum comfort, style and versatility. The U.S. version of the Azimut 84 launches in the fall. Azimut Yacht inventory can be found exclusively on MarineMax.com.